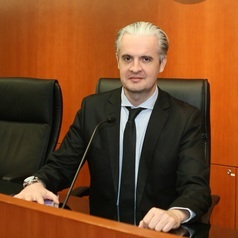 Julien Chaisse is Professor of Law at The Chinese University of Hong Kong (CUHK). He is an award-winning specialist in international economic law with particular expertise in the regulation and economics of foreign investment. His research also covers other relevant fields, such as WTO law, international taxation and the law of natural resources. Before joining the CUHK Law Faculty in 2009, Prof. Chaisse served in the Ministry of Foreign Affairs of France, and started his academic career in Europe. Prof. Chaisse has authored a broad body of well-regarded and widely-cited articles on topics ranging from the rise of sovereign wealth funds, the regulation of foreign investment, and decision-making challenges facing the WTO, which have been published in the top refereed journals of international law. In recognition of his outstanding scholarly achievements, Prof. Chaisse received the CUHK Research Excellence Award in 2012, and was appointed Director of the Center for Financial Regulation and Economic Development of CUHK Law Faculty Faculty since 2013. In addition to scholarly work, Prof. Chaisse has wide experience as a practitioner, and is engaged as expert, counsel and arbitrator in transnational dispute settlement. Apart from his frequently being interviewed by local and international media on current events and legal issues, Prof. Chaisse is also regularly invited to provide legal advice and training courses on cutting-edge issues of international economic law for international organizations, governments, multinational law firms and private investors, including Ernst & Young, Deloitte U.S., Maxwell Stamp, the United Nations ESCAP and ITC, World Trade Organization, ASEAN Secretariat, European Commission, Asian Development Bank, numbers of European countries and ASEAN member states. Prof. Chaisse was recently appointed a member of the World Economic Forum's Global Councils Network (Trade and Investment) for the term 2016-2018 which is the world’s foremost interdisciplinary knowledge network dedicated to promoting innovative thinking on critical global issues, regions and industries, and incubating projects, campaigns and events for the public good. Prof. Chaisse is also a member of the ICANN Working Group that is currently conducting a review of all rights protection mechanisms in all Generic Top-Level Domains (gTLDs).